I love citrus fruit, for their uplifting aroma as much as their rich vitamin C content, but most of all, for making my food so much tastier. I use the orange and lemon juice in meat marinades prior to roasting and in salad dressings alike. I love nibbling on little wedges of fruit, be it orange, grapefruit or tangerine. And what do you do with all the peel? 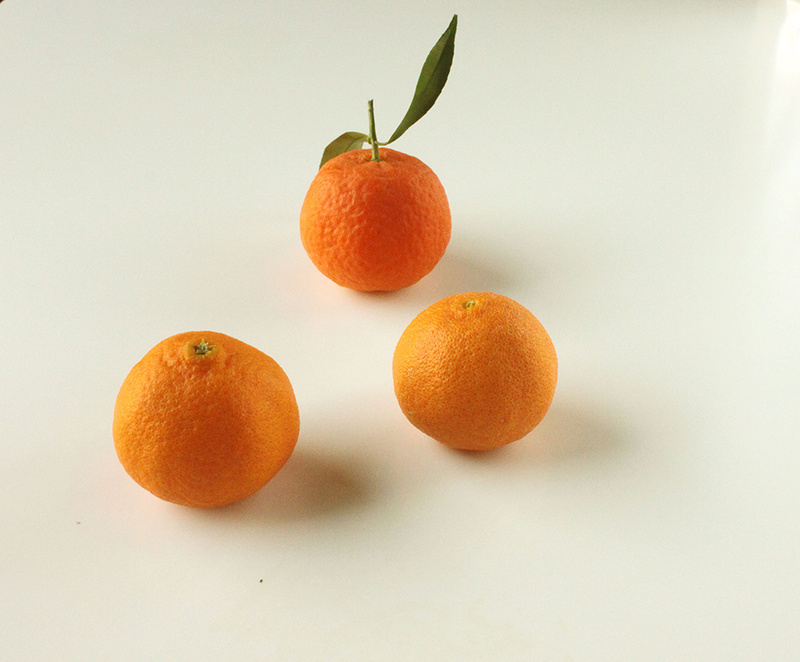 Well, you could make tangerine truffles! 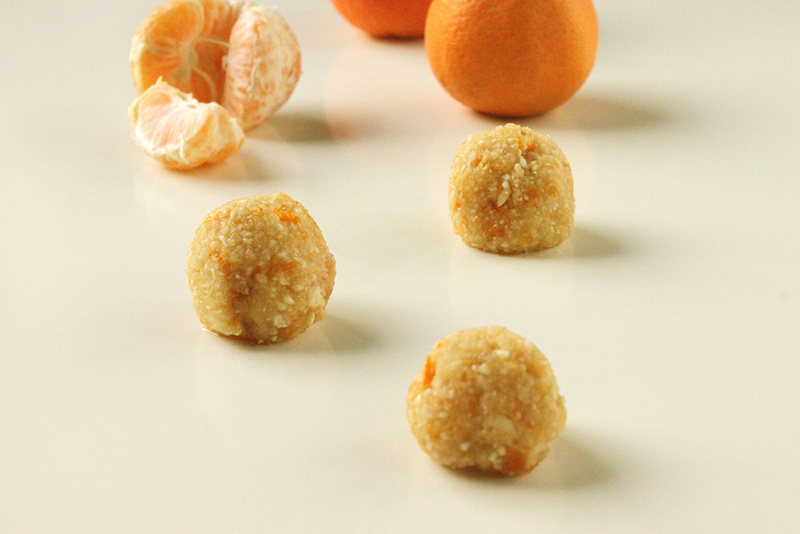 I chose tangerine truffles as my last post for the Vima Gourmet foodblog awards competition, it is about re-using. I have been meddling and retouching yesterday’s dishes in a couple of ways. I came up with some lovely patties for chickpea burger. I used just one ingredient, filo pastry, and made a leek pie and kourkoubinia, a savoury and a sweet dish, ideal for brunch. I mashed my beans soup a few days back and complemented it with spetsofai, making a very Greek sausage and mash. Boil the tangerine peels in two cups of water until they soften (10-15 min). Put in a blender and mix until you get a rough purée. In a bowl, mix the ground almonds, tangerine peel purée, icing sugar and tangerine juice. Leave the mix in the fridge to set for about an hour. Put the cognac in a small bowl, dip your fingers in it and start shaping small truffles. I really hope you have been enjoying this series of posts where I re-heated yesterday’s dishes. Do you have any tricks and tips for re-using leftovers? Please feel free to share below in the comments. UPDATE: The competition has ended – thanks for following through, check my last competition post here. Hello Eugenia, sounds yummy to me! Hi Cheryl! it is yummy indeed, hope you get a chance to try them too! A friend of mine makes these and dips them in chocolate. Fantastic! Hi Sandra! These truffles are lovely in chocolate too! I went for the simple fruity version this time. When you puree the boiled peel, do you just blend the peel or also the water you boiled them in? Making them as a trial run tonight. I’m liking the idea or dunking them in bitter chocolate for a little extra Christmas luxury. Also wondering about simply rolling in cocoa powder (the bitterness of which could be a nice contrast to the sweet within).